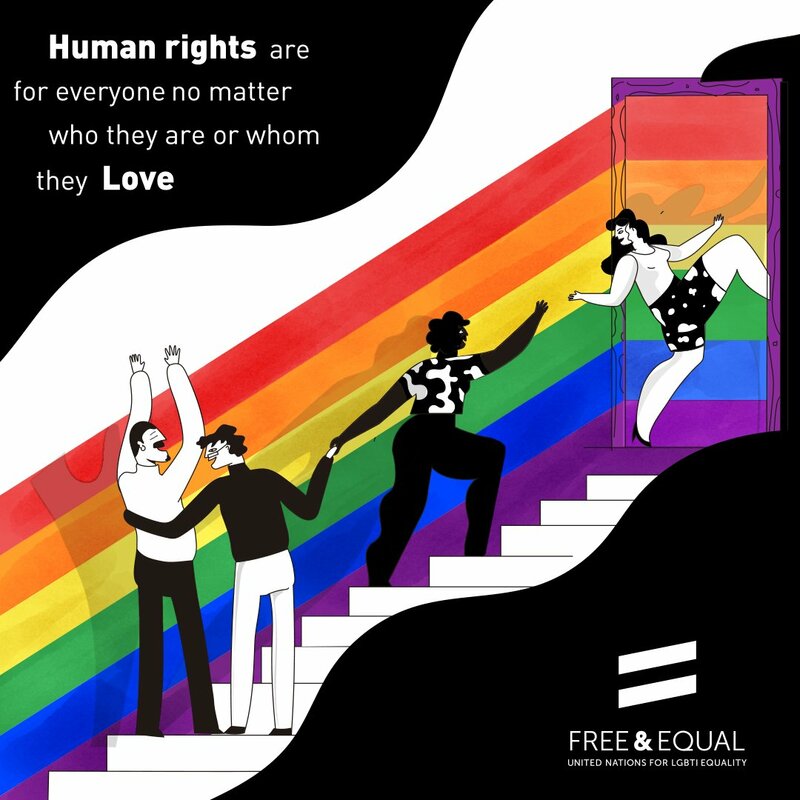 Support Free & Equal by downloading our content and connecting on social media. 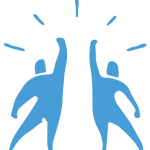 United Nations Free & Equal shared a post. Raising an #intersex child: "This is your body. ... There's nothing to be ashamed of"
We all have the same inalienable human rights. You, me, everyone – no exceptions. This #WorldHealthDay, we're advocating for all those for whom the right to health remains a distant dream. Among them: millions of #LGBTI kids suffering because of bullying, isolation and rejection; #trans people denied healthcare or forced to undergo sterilization just to have their gender legally recognized; and #intersex infants put through painful, risky and unnecessary medical procedures without their or their parents' informed consent. ❤ to show your solidarity! United Nations: "Brunei is violating human rights by implementing Islamic laws that would allow death by stoning for adultery and homosexuality"
Arrêtons de diaboliser la différence. Défendons les droits des trans. 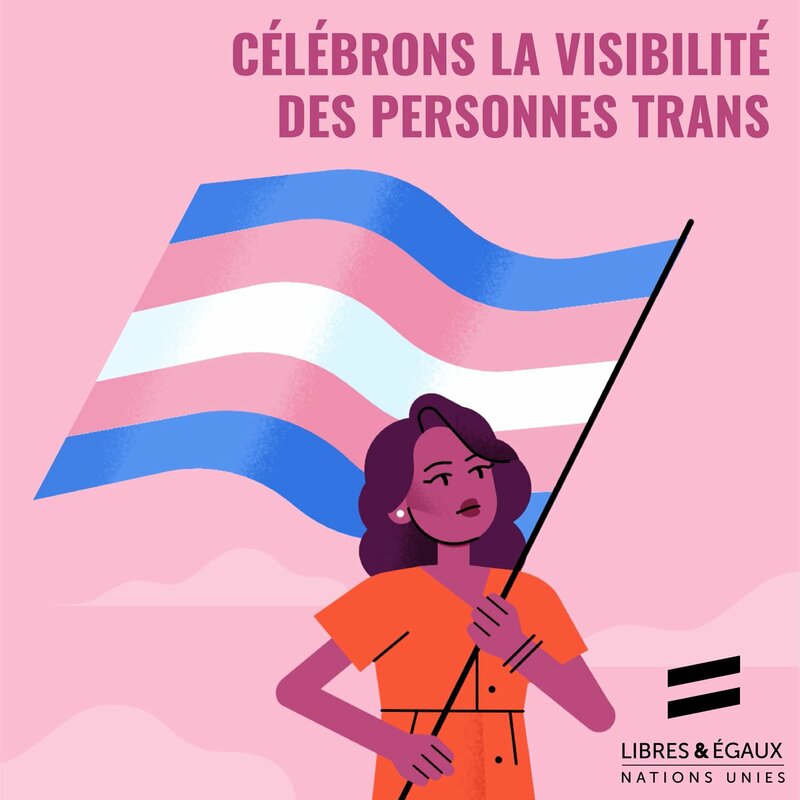 Célébrons la visibilité des personnes trans !